We help small businesses reach large audiences! Custom built websites to meet the needs of your small business. Increase sales and increase your brand awareness by tying your site into Social Media. Options available for medium and large businesses as well. 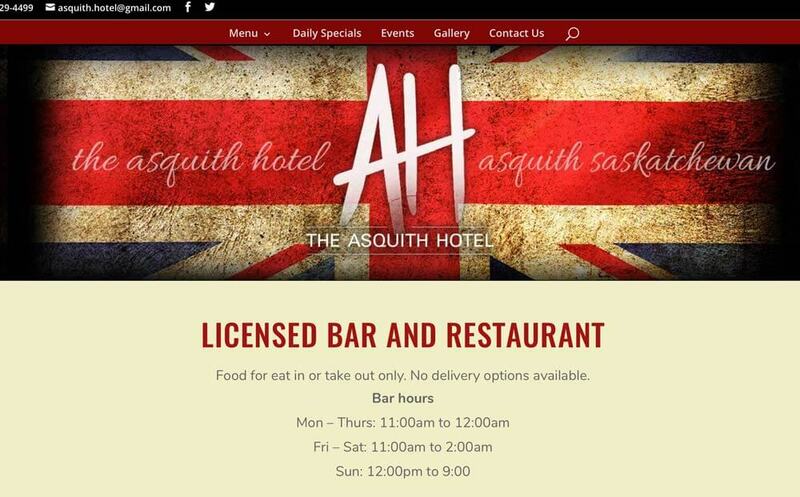 Example: Website Designed for The Hotel in Asquith Sk. 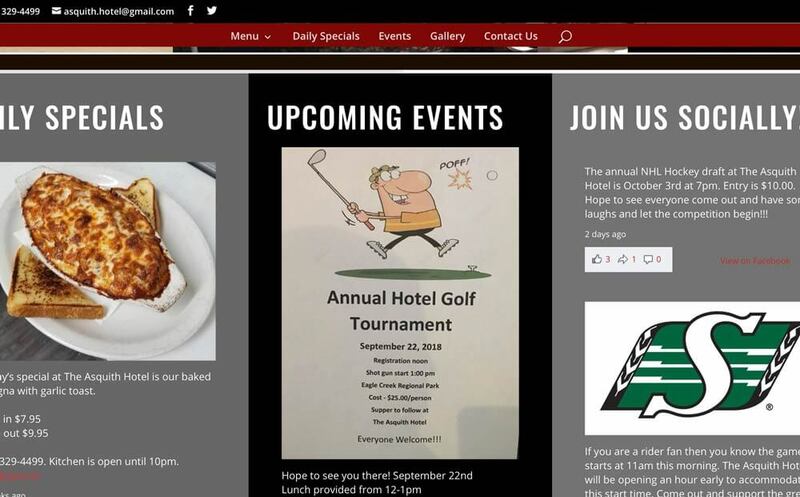 The Events, Daily Specials and Facebook feeds are all drawn in from the hotel’s Facebook page with the use of Hashtags. Client was hoping for an easily updatable website and were all ready utilizing their Facebook account daily. Best of both worlds!